The last time the Kaharoa Kokako Trust organised an adult bird survey across the whole Kaharoa Management area was back in 2006. At that stage there were 121 territorial adult birds. Territorial behavior indicates the birds are breeding-capable so the census only records these birds in the count. Back then there were 58 pairs and a further five single birds holding territories. For a range of reasons there has been quite a gap between major surveys. 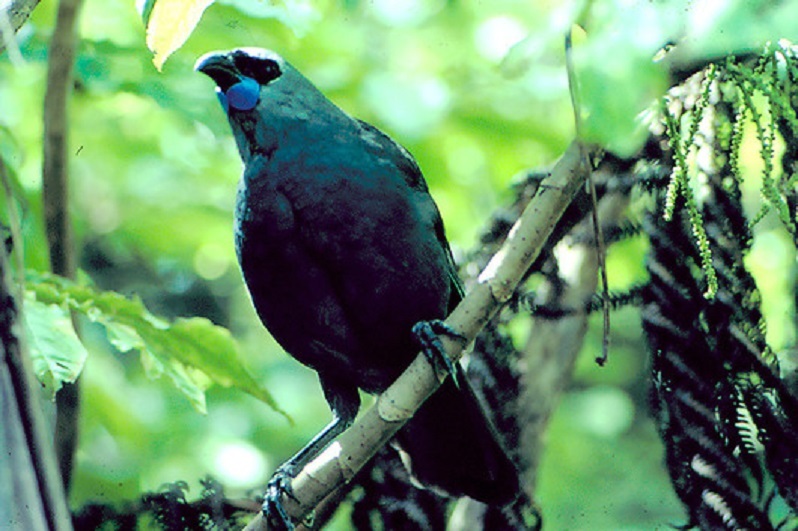 In the intervening years there were a couple of surveys of neighbouring blocks outside the management area and these showed that the kokako were spilling out in increasing numbers into these remnant forest areas. There were also a number of translocations where birds were captured by mist netting and moved to other protected areas. Despite this, a month of survey work by four specialist contractors has recorded that numbers in the management area have now jumped up to 173 (19 singles and 77 pairs). The Trust is delighted and this result vindicates the vast number of hours put in by volunteers in track maintenance and toxin operations. Despite some areas of the forest appearing to be fully covered by active territorial birds the Trust will now have to consider from the results how best to tweak the current bait station layout to further improve population increases, and to look at possible reasons for the apparent high number of single birds. For example are these single males because the females have been predated on the nest, or is this a sign of early nesting where the females are already hidden away on a clutch? In 2017 there is a further translocation planned which will result in a further 10 birds being caught and transferred to another area. Also, next year two years of pest control is planned after two years of a scheduled break in toxin applications. So the Trust is in for a busy couple of years. Without the ongoing efforts of our volunteers, assistance from the Department of Conservation and funding support from a range of providers including PF Olsen Ltd, our Gold Supporter, none of this would have happened. Thanks PF Olsen for your ongoing support.